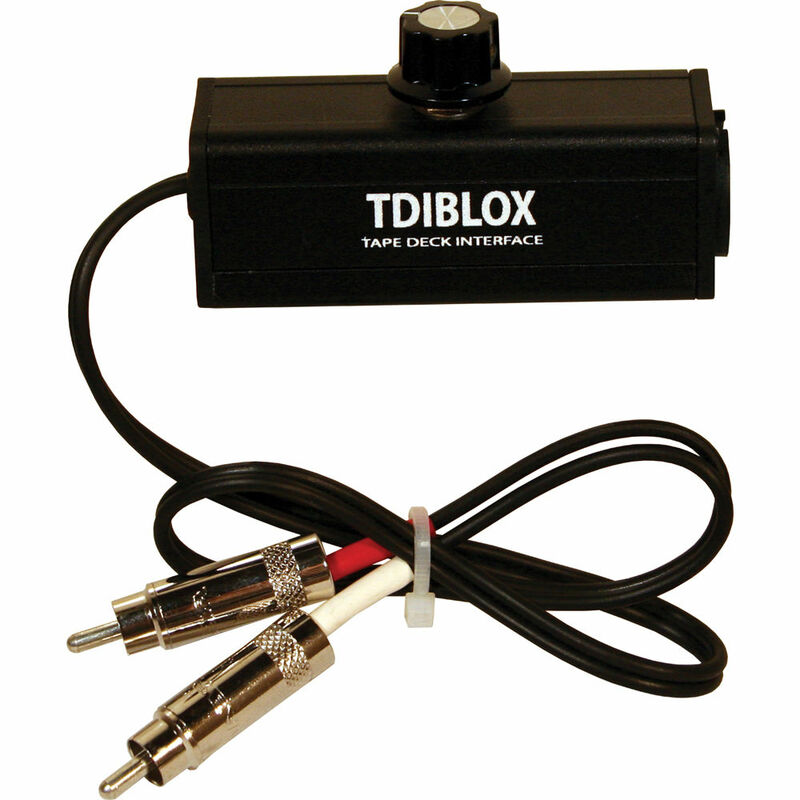 The RapcoHorizon TDIBLOX Consumer to Pro Interface converts input from consumer grade equipment (tape decks or CD players) to a mic level balanced output. It gives the operator volume control of the outgoing stereo signal. Box Dimensions (LxWxH) 8.0 x 2.6 x 1.5"
TDIBLOX Consumer to Pro Interface is rated 5.0 out of 5 by 1. Is there a tdiblox in reverse, that would let me send from an XLR output to an RCA input? That I don't know. U might want to ck with the manufacturer for that info.